This is one the most important shopping areas in the city as well as one of the most pleasant and luxurious. You will be able to find the most prestigious brands in fashion like Louis Vuitton, Carolina Herrera, Chanel, Gucci, Roberto Verino, and Tiffany & Co on the streets of Serrano, Claudio Coello and Ortega y Gasset. At the end of the 19th century it was clear that the capital of Spain needed a change. This is when the Marquess of Salamanca decided to create an aristocratic neighborhood that would be ahead of its time and pioneer trends later seen in other European capitals. Several changes happened to the design of the housing like bigger rooms, bigger windows for better lighting, implementing running water and heating, etc. Madrid began to look like a capital. Now ‘Barrio Salamanca’ continuous to be a reference of prestige. You can find the best hairdressers, restaurants, hotels, jewelry stores… This also means that the prices are considerably higher to the rest of the city. The most popular park in Madrid, Retiro, resides in this neighborhood and is perfect to take a stroll, rent a boat or ride a bike year-round. 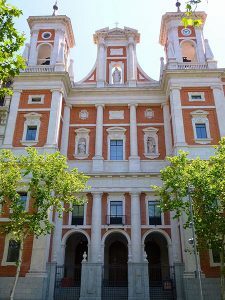 The main attractions in this neighborhood are the Royal Palace and the area of La Latina, well known for its aperitivo on Sundays. The Royal Palace gardens are beautiful and perfect to capture your next social media profile pic. You can head up Calle Mayor and explore Mercado San Miguel, which offers a variety of stands with gourmet food and drinks. It’s quite typical to grab a tapa and a couple of cañas, vermut or tintos de verano while you are there. 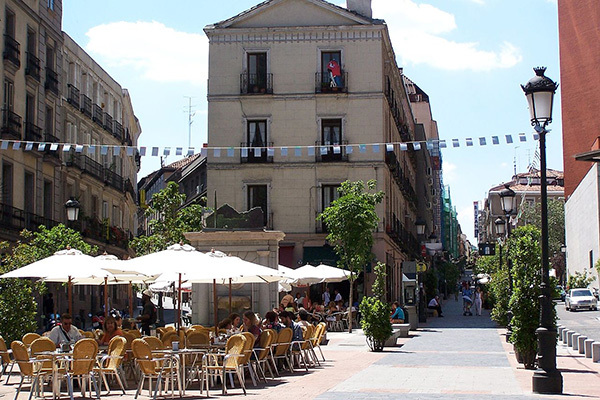 Sundays between 11am and 4 pm are peak times in La Latina to get food and drinks with friends or you can hang out at Plaza de la Cebada that holds cultural community events like salsa dancing, basketball games, etc. The oldest restaurant in the world according to the Guinness book of records is Botín on Calle Cuchilleros. It’s been operating since 1725. Another local place, Casa Lucio, is so famous for its huevos rotos that is has attracted celebrities like Lenny Kravitz, Will Smith, Tommy Lee Jones, Pierce Brosnan, Arnold Schwarzenneger, Tom Cruise, Penélope Cruz, Javier Bardem, Victoria Beckham, Bill Clinton, George W. Bush, and the royal Spanish family. It’s located just off of Plaza Mayor. To the southeast of Palacio is the multicultural and eclectic neighborhood of Embajadores. Lavapiés is located in the heart of Embajadores that is rich in ethnic restaurants, especially Indian cuisine, and community spaces like La Tabacalera. It has become a hip, bohemian alternative to the typical nightlife options and is also quite economical, too. Here you will find the Rastro, which is a flea market held every Sunday from 9am to 3pm. It’s located on the Ribera de Curtidores hill and is over 400 years old. It’s a great way to spend your Sunday morning if you can manage to wake up for it. It is always good to be careful with pickpockets in big cities but keep out en eye especially here since they take advantage of the big crowds. The closest metro stops to the Rastro are Puerta de Toledo/La Latina on line 5 (green line) or Tirso de Molina on line 1 (light blue line). 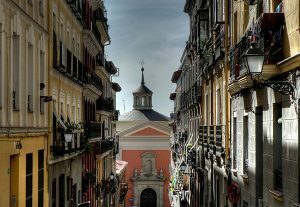 This neighborhood is dubbed ‘Barrio de las Letras’ because in the 16th century there was a big concentration of prolific writers that lived in the area, like Lope de Vega, Quevedo, Cervantes and Góngora. Lope de Vega is one of Spain’s most productive writers, having written over a thousand plays in his lifetime. However, the most famous Spanish writer is Cervantes for his work in Don Quixote de la Mancha. Other cultural interests in this area are the Ateneo, Círculo de Bellas Artes, Teatro Español, Teatro Real and Teatro de la Comedia. Círculo de Bellas Artes has a rooftop terrace with incredible city views where you can enjoy a drink at their lounge area. It’s well worth the 3€ to get in. Besides this, the three most important museums: El Prado, Reina Sofia and Thyssen-Bornemisza are found in this neighborhood. This neighborhood is famous because it has been gay friendly since the 90s. This becomes very apparent the moment you set foot in it since you can find it peppered with rainbow flags. There are some fantastic, fashionable restaurants and bars and a lively nightlife great for both straight and gay people. If you are interested in architecture, there’s the Palacio Longoria on Calle Fernando VI, n. 6, which is the headquarters for the Society of Authors and Editors (SGAE), similar to the Screen Actors Guild in Spain. The Catalan architect José Grases Riera built it in 1902. 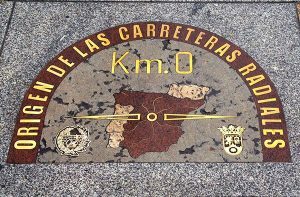 The most famous square in Madrid is Puerta del Sol where you’ll find Kilometer Zero, for Spanish national roads alongside with the Casa de Correos. This is where the whole country watches the Reloj de Torre ring in the New Year. The tradition is that the 12 bell rings mark when to eat 12 grapes to bring good luck to the upcoming year. Every tourist must go to Sol. There are two important statues: Oso y el Madroño and Carlos III. The place to gather in Malasaña is the emblematic Plaza Dos de Mayo. 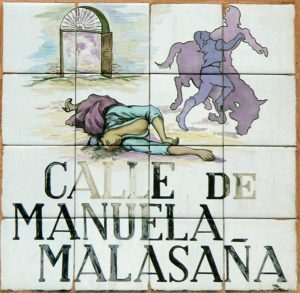 The neighborhood is named after the heroine Manuela Malasaña who lived there when Madrid was occupied by the French. She was a 17-year-old seamstress who, when the French soldiers caught her with scissors, they killed her for treason. This caused a big uprising against Napoleon’s troops on the 2nd of May, 1808 for which the main square is named after (dos de Mayo). This neighborhood is one of the hippest places to be with all types of modern and stylish bars, restaurants and cafes. On Calle Fuencarral you’ll find great places to go shopping, whether you’re looking for outlets or boutiques.